Sam Ballantyne was born in Slough, England in 1989 and made the move to Australia two years later. He, his mother and brother settled in Bunbury in Western Australia and it wasn’t long before he found his calling. Sam’s mother wisely sought some kind of constructive outlet for his energies. Sam’s inability to concentrate led to him being diagnosed with ADHD. School presented a number of significant hurdles. Regardless of the tempestuous events of Sam’s youth, sport was always a constant. 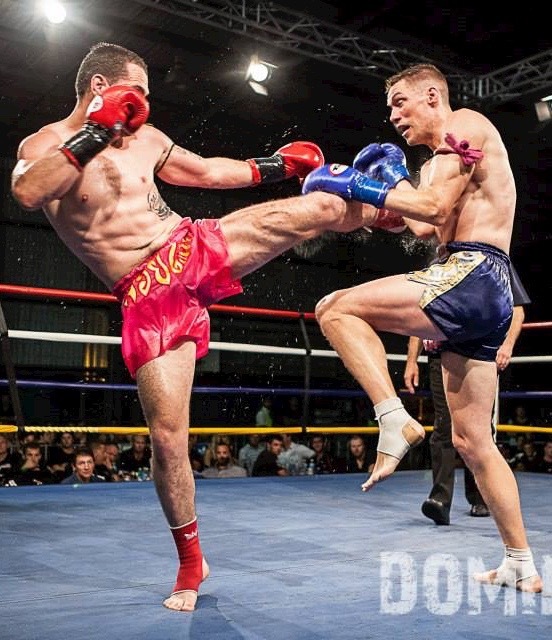 Hockey and Muay Thai do not seem natural relatives. During Sam’s teenaged years, things begin to go sideways. Whether it was anger, frustration, desperation of a combination of the three, Sam’s direction was soon to change. “When I was eighteen, I went to the PCYC in Bunbury to try a boxing class, but I only went for a month or so because of the lack of intensity. I was soon back on the streets. For a man who holds two WMC titles at seventy-six and seventy-nine kilos, that’s a considerable way overweight. Shortly after, Sam found his way back into a fight gym and, as is so often the case with fate, it came in the form of a fortuitous mistake. Finally, Sam had found a gym that could satisfy his appetite for intensity. Constant training gave Sam focus and outlet for his profound reserves of energy and consequently, his life began to change. “I had gotten down to ninety kilograms. Every night [at training], I was the first to arrive and the last to leave. I’d do everything the fighters did, even if it took me half an hour more. Sam’s other constant, change, was fast at his heels. Again, Sam’s luck was about to change – for the worse. Things started to go bad very quickly after that. In addition to his bag of clothes, Sam had a firm idea of who to go and see; Blair Smith. 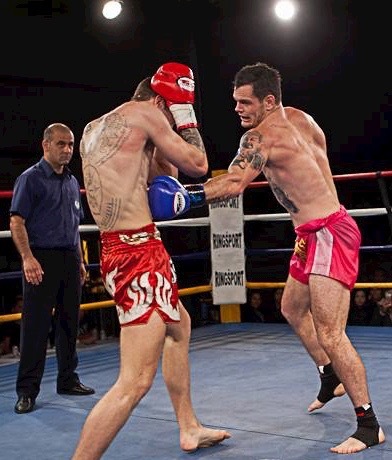 Sam then fought for a AMF state title against Andy Regan. They eventually rematched for the WMC title and Sam made the outcome conclusive, stopping Regan by way of knockout. Sam’s success meant he had to step up to a higher standard of competition and consequently, he began to lose a few. 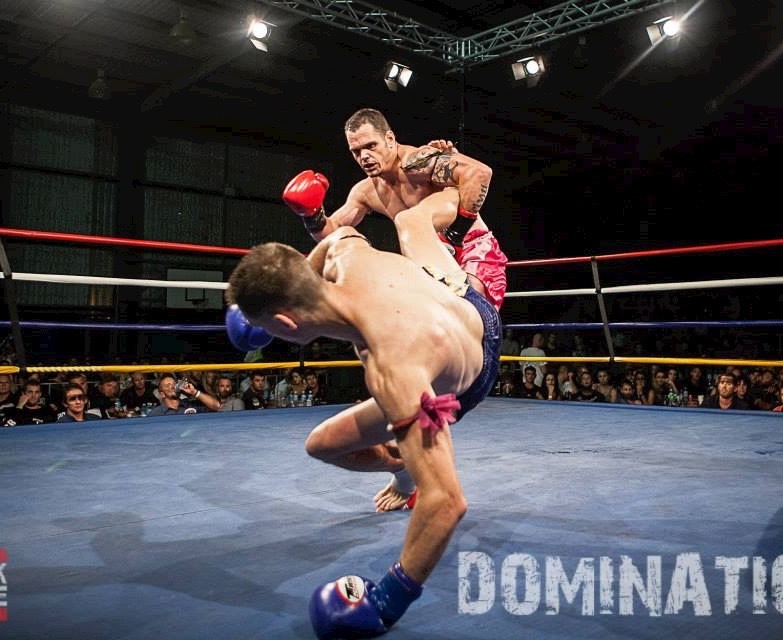 Sam was rolling; he met Jason Altman in the squared circle to contest the WKA Australian title. Disappointing as that outcome was, Ballantyne persisted. While all fighters appear on paper as the sum of their wins, losses and draws, their true quality is read in terms of their opponents. Ballantyne’s losses were close together, but appear on the gradient of vastly stiffer competition. Many of these figured as honourable losses. “I fought Disellek Topking in Thailand. He’s a four-time world champion and former Rajamadern Stadium champion. I was rated the heavy underdog in that fight, but I took it to him every round. Also on the roll is Victorian, Chris Bradford. A good trainer is as much a psychologist as anything else, and Ballantyne’s trainer, Darren Curovic, had read his charge correctly. At that time, Olsen held a WMC intercontinental title at seventy-six kilograms, the jewel in the crown of a fearsome reputation. Consequently, Sam’s training included a significant amount of mental preparation. It must have worked; the results speak for themselves. The outcome has changed everyone’s opinion of Sam Ballantyne – including his own. “I beat the number one [fighter] in Australia on a convincing points decision. 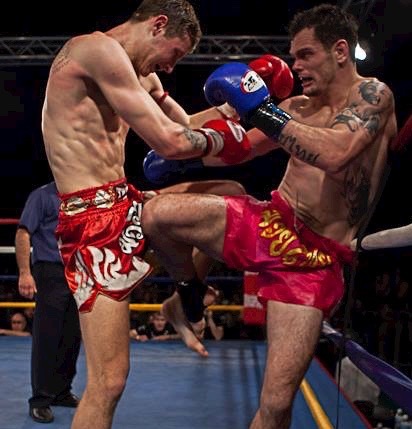 It’s given me a new life in Muay Thai. I have my dream back in focus; fighting around the world and winning a world title. 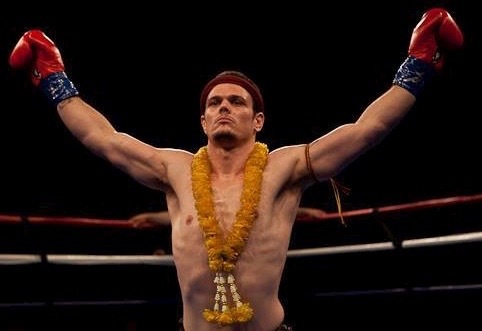 Sam sees a universality in his story that stretches beyond his own achievements in Muay Thai. “Two of my friends that I did drugs with growing up killed themselves, and one was murdered. I still catch up with some of them and while some are doing well, some aren’t doing well at all. 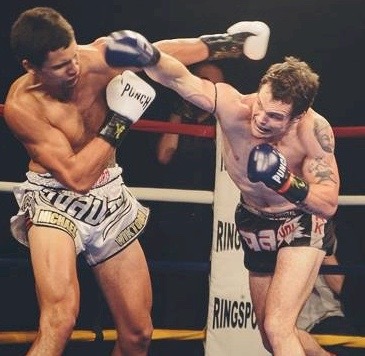 This entry was posted on September 8, 2015 at 3:47 pm and is filed under Journalism, Kickboxing, Martial Arts with tags ADHD, AFL, Andy Regan, BJJ, Blair Smith, Boxing, Bunbury, Chris Bradford, Darren Curovic, Disellek Topking, Eight Weapons Gym, England, hockey, Jason Altman, Kao Sok Gym, Michael Wikertoa, Muay Thai, Paul Foreman, PCYC, Sitmonchai, Slough, Tarik Solak, Thailand, Western Australia, WMC title. You can follow any responses to this entry through the RSS 2.0 feed. You can leave a response, or trackback from your own site.